I get so much enjoyment and inspiration from reading sewing blogs! Hopefully this blog “passes it on”! When I’m not sewing, I’m running with my running buddies, thinking up some new marketing angle at work or reading sewing blogs (pretty much to the exclusion of all other reading material…and I’m starting to notice that this is rather socially limiting… 😉 Ahem. Click here and here to learn a bit more about me. You had me at the cherries! I almost gasped when they appeared! How fun! I’m your newest follower. I can’t wait to see what you have in store! Hello Chicenvelopements! Really enjoyed reading about your (re)creations…the post on ‘how to shorten’ jeans without losing original hem was new to me! Such a great finish! Cheers! Hi, I’m Denny from the Gold Coast and I just discovered your blog from Goodbyevalentino and your very helpful reply to me regarding steam-a-seam. I will now bookmark you as a favourite because I love your blog. I do not have my own, but don’t we have a wonderful sewing community world wide who are all helpful and informative!!!! Hi Denny – the sewing blog community is great! Glad you enjoy my blog…and hope you can find some steam-a-seam. I imagine they could order it in for you, if they don’t have it at your local Spotlight. Happy Sewing! Oooh…thank you!! Glad you feel encouraged! I want to keep being inspired by your adventures!!! Very honoured Trice! I’ve sent you an email. Thanks! Please forgive my leaving this in a comment, I couldn’t find an e-mail address for you. 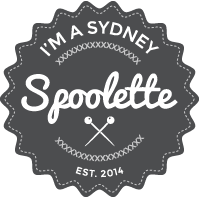 I’m making an index of Australian sewing bloggers, which you can find here: http://iammsfrizzle.blogspot.com/2014/12/sewists-of-australia.html I hope you don’t mind being on it- just let me know if you want to be removed. Thank you! Thanks Marel! This is a great list!